Here’s a real-life fantasy footbike! Here’s a link to more info on this scooter. This site is all about custom bike builders. 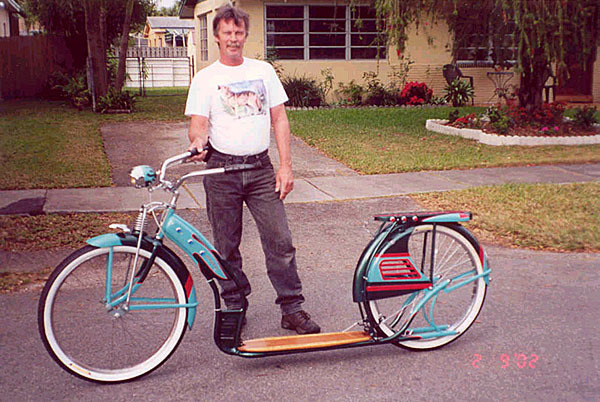 As a bike builder myself, with a new found fascination with scooters, I’ll probably do some Raleigh or Schwinn “Fanatsy” scooters in the future.